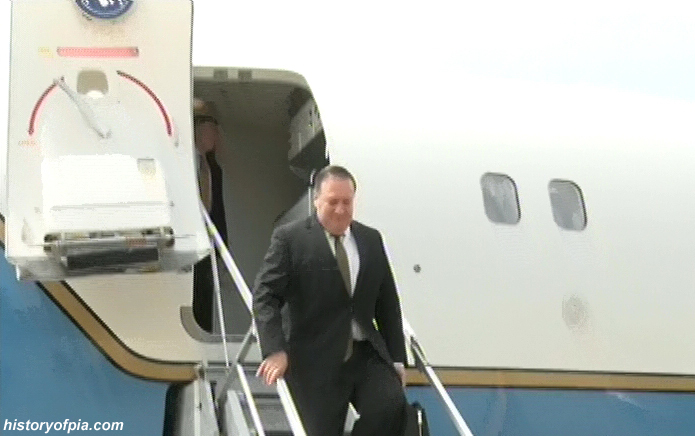 Today, United States Secretary of State Mike Pompeo arrived aboard United States Air Force (USAF) Boeing C-40 (serial number 10040) at Pakistan Air Force (PAF) Base Nur Khan - Chaklala, Rawalpindi. 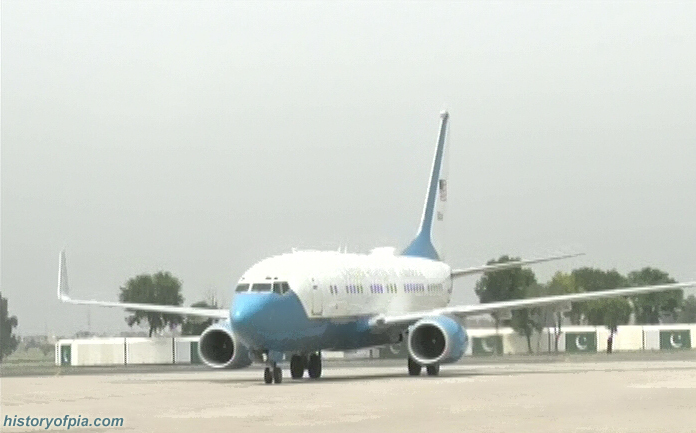 A USAF Boeing C-32 also seen at PAF Base Nur Khan, Chaklala, Rawalpindi. 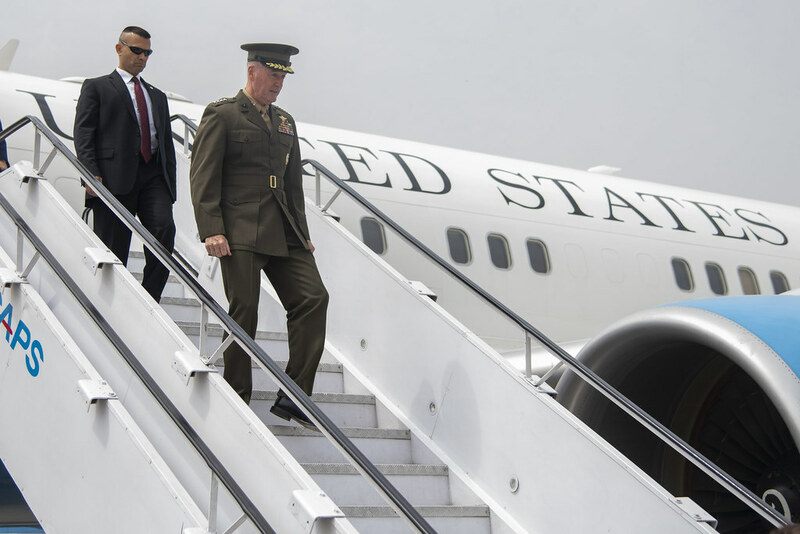 Marine Corps General Joe Dunford and Chairman of the Joint Chiefs of Staff arrived in Islamabad on that Boeing C-32 on September 5. 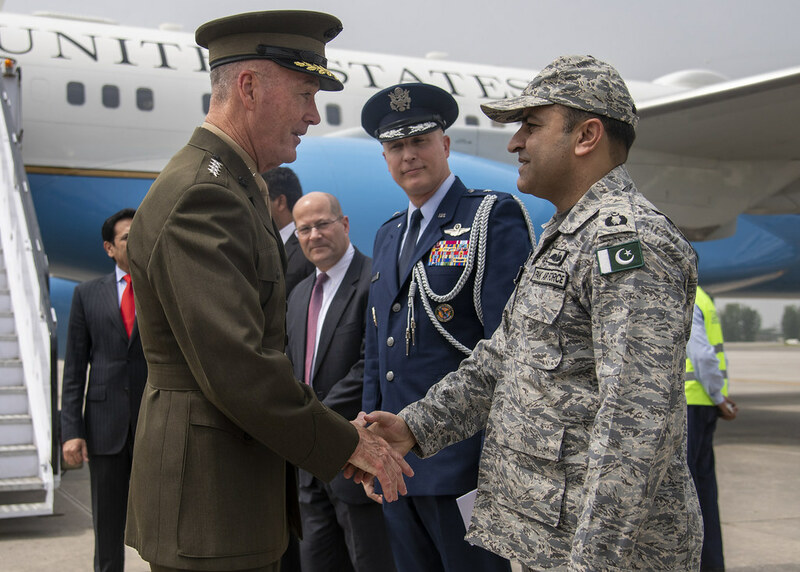 The aircraft was served by Shaheen Air Port Services (SAPS) mobile stairs.